I am quite certain the basins on the flowage have turned over, I didn't slow down today to look for a thermocline when crossing Baraboo. After two days of fishing other waters I was in too big a hurry to get fishing the TFF. I can tell you with 100% certainty the fish were biting. 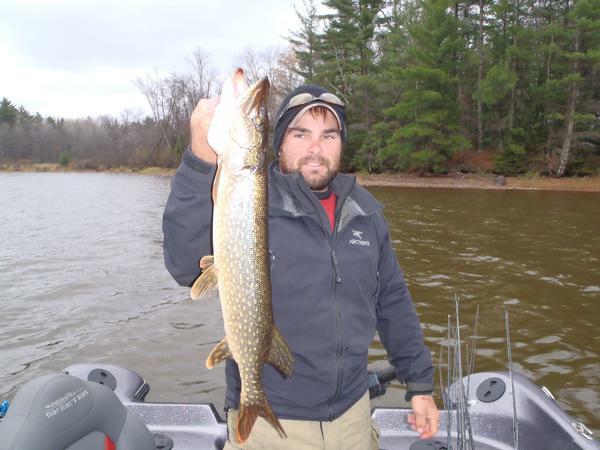 Spent the day with two friends we fished walleyes until early afternoon with a tally of 49 and a few bonus fish including a nice pike, we decided to take out of the food chain. 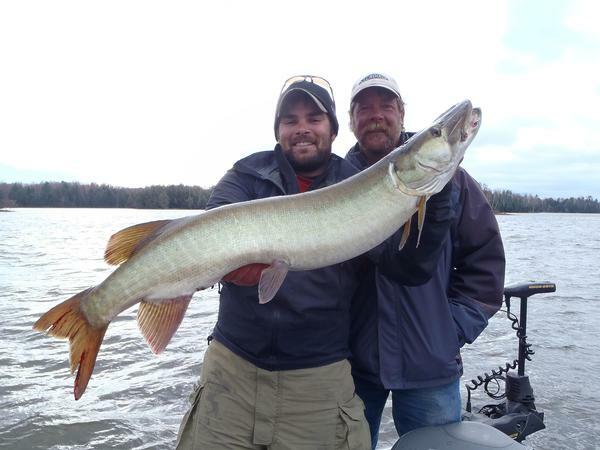 We spent the later afternoon fishing muskie and caught a 40.5". One thing a little different about muskie fishing is that I don't mind sharing information on a little more about specifics. We caught the fish in the Bonies mound area relating to a bend and hole in the river channel, the fish wasn't in the channel but close. A black suick after a long pause. I will be honest ,the guys in the boat today knew way more about catching them then I do. I did remember my muskie net today, I gotta say they are a lot easier to get in that net. 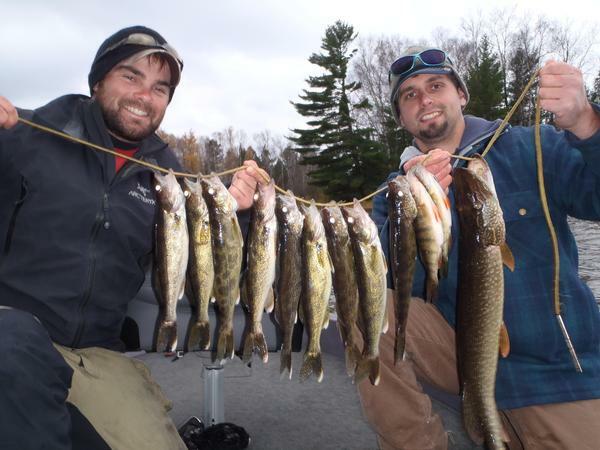 Enjoy the fishing, awesome time of the year!